August | 2011 | I HATE HATE!!! Social unrest? Blame the internet! 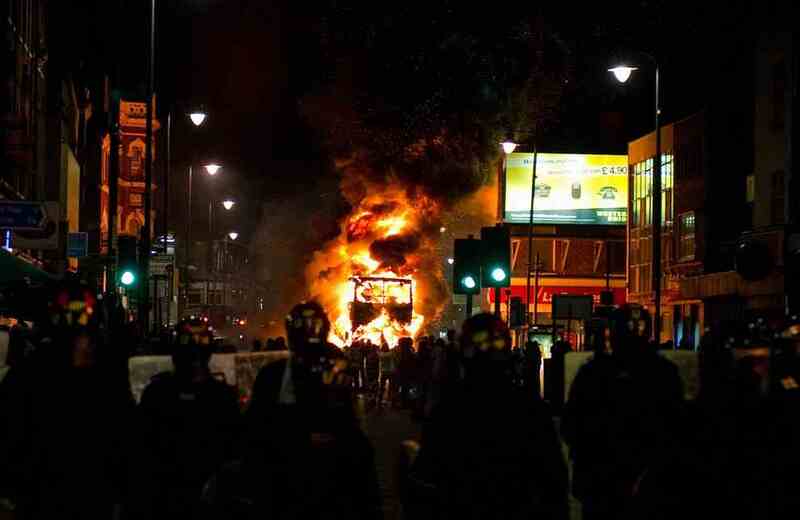 The past few days’ rioting in England are all due to the internet, says prime minister David Cameron. So news of riots spread via the internet/facebook/twitter etc etc. So now Dodgy Dave says that Facebook, Twitter and Research in Motion (Rim), the maker of BlackBerry devices, should take more responsibility for content posted on their networks, warning the government would look to ban people from major social networks if they were suspected of inciting violence online. Yes, the news spread via the internet. But it also spread via the telephone, snail mail, newspapers, television, word-of-mouth. So shouldn’t we just ban communication outright? Heck, I better get this posted then get out of here, before the government bans me! As the title says, this is part 3 of my attempt to explain how politics works. Part 1 is here, part 2 is here. Remember that I said that majority rule doesn’t scale? How as the population increases, so does the number of disaffected people? Well, majority rule can work with smaller populations. But how do we make population smaller? Well, if we decide not to go the death camp route, and we don’t disenfranchise women and the poor to reduce the voting population only one way seems possible to me: we make big old England into a number of regions, each of which will have its own government. As you can see, England once comprised of 4 kingdoms: Northumbria, Mercia, East Anglia and Wessex (ignore Wales – the welsh can look after themselves). As London has such a high population, I think it would be fairer to make Greater London a region of its own, rather than making it part of Wessex. So, my England is split into five self-ruling regions: Northumbria, Mercia, East Anglia, Wessex, and London. Each region will have its own government, elected by its population using whatever method they prefer (I think majority rule would be okay on this scale). And each region will be pretty much independent – setting its own policies, raising its own taxes, providing education and health care however it wishes. Of course, the regions would not be able to handle everything by themselves. On some matters, it would be wise for them to work together. Foreign policy is an example, as is defence against other countries. Wessex (for example) would be too weak to stand up for itself against many other countries, and it would not be capable of maintaining a powerful military presence. This is where the regions will act as one. They will maintain a combined military: an army, navy and air force to protect shared interests. The smaller nature of the regions as compared to England as a whole would make possible some very radical ways to elect their governments. One that I’m interested in is compulsory participation in government. I don’t mean just compulsory voting. Imagine a system, similar to jury duty, where citizens will be called up to become a member of parliament for a certain amount of time. I’ve always been rather suspicious of politicians: these are people who have chosen a career of telling everyone what to do. I’m sure that some people venture into politics because they want to “help”. But when you look carefully at politicians, you may find that they’re an unsavoury bunch – look at the MPs’ expenses controversy in Britain. Politicians wringing the expenses system for every penny they can. This image doesn’t sit well with the idea that these people entered politics as a vocation. So we do away with the idea of professional politicians and replace it with a system where everyone gets to have a go at it. Of course, these amateur politicians will need experts to advise them. But couple this idea with a system of more referenda on issues (like the Swiss system, perhaps) and we have politicians with no vested interests enacting the wishes of their peers. Of course, these ideas are radical and also very sketchy: but I’m not pretending that I’ve thought it all through. I’m just throwing my ideas out there, for others to examine and criticise. So come on folks: let’s see what you have to say! You are currently browsing the I HATE HATE!!! blog archives for August, 2011.